Whether it is music or sports, acting, or even politics, it is not hard to find the children of the greats walking in the shoes of their parents. Hence, it does not surprise anyone when LeBron James said he was hoping to play in the NBA with his son, LeBron James Jr. However, Bronny, as he is nicknamed, is not the only child of King James that plays the sport, there is also Bryce Maximus James who although is still young, is showing signs of hitting the same floor as his father. June 14, 2007, was the day Bryce Maximus James was born to one of basketball’s greatest, LeBron James and Savannah Brinson. He is the second of the three children of James. 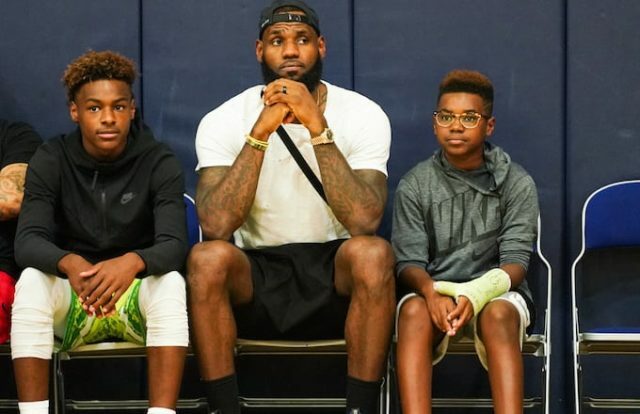 With LeBron James as his father and Bronny as his brother, Maximus grew up with basketball around the house, and so he began playing when he was still a child. He has always been trained by his father together with his elder brother and because of this, he started making a name for himself in the sport even before the age of 10. At present, the young James attends Old Trail School in Akron, Ohio where he is a sensation in the school’s basketball team. With the team, he is very popular for his shooting range. 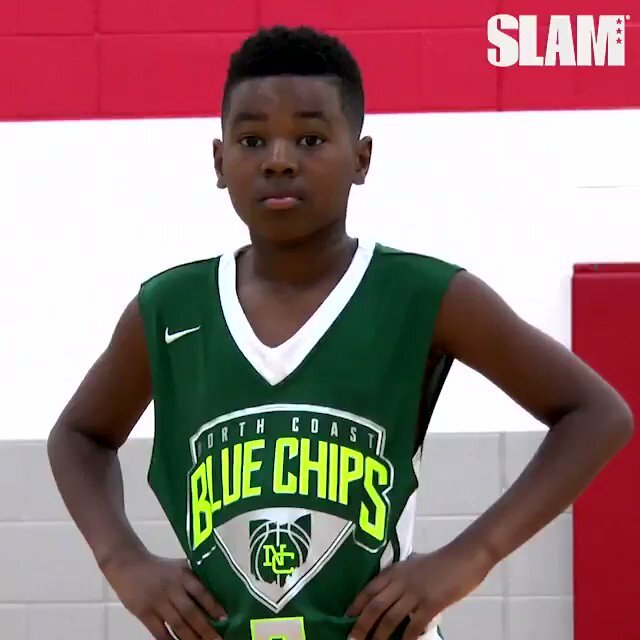 Various videos of the young star playing for his AAU team, which capture some of the very amazing things he does on the court most especially with shooting, have been shared on social media, having people compare him to young Steph Curry. Even though for now, he is yet to have the amazing scoring ability of his brother which has made him the one to watch for the future or even the great passing ability and prowess of his father that has made him a king in the court, it is apparent that Bryce may end up growing as good as his brother and as great as his father. As regards his height, Bryce Maximus James is still not a teenager, hence, his actual height cannot be determined since he is in his growing stage. Nonetheless, considering that when he was 14, James Jr. had a height of 5 feet 11 inches and their father has a height of 6 ft 8 in (2.03 m), it is easy to assume that he will grow to become a man of a very good height. In fact, if anything can stop him from playing basketball, height may not be it. The parents of the young James are, as already noted, LeBron James and Savannah James. The two met when they were still students of Buchtel Community Learning Center. They began dating not too long afterward and have remained together since then. They got engaged in 2011 and then by September 2014, they became man and wife. Savannah James has her furniture line among other businesses. Bryce Maximus James has two siblings, an elder brother, LeBron James Jr. and Zhuri Nova James. James Jr. was born in 2004 while it was until 2014 that Zhuri was born. When he was growing up, his interest was not only in basketball as he also loved other sports including ice hockey and football. But then, his father did not want him to play either because he was scared for the safety of the child. However, as he kept growing, he was allowed to decide what sport he wanted to play. To the surprise of no one, he chose basketball. In 2018, his father made a tweet describing his son as the best shooter in the house, he called him the Flame Thrower. As he continues to play and grow, Bryce Maximus James enjoys the complete support of his family as he tries to become a better player. It is because of this that his father and other family members take out the time to always attend his school games and other tournaments. On social media, Bryce is not the most popular kid that you will find, which may be because he does not get too much involved with it. That said, he still has descent followership with more than 5,000 followers on Instagram.